We are Opening our doors and welcoming you all to Dress Fabrics again in October – a whole weekend this time. 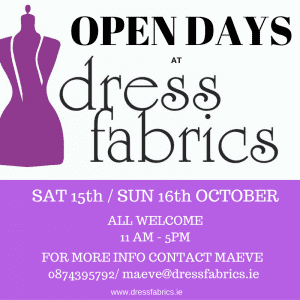 Saturday 15th & Sunday 16th October 11am – 5 pm. There will be reductions of up to 50% off selected fabrics and 10% off everything (instore only), remnants on sale and of course an opportunity to see all our fabrics in real life. We are planning on raffling a few prizes over the weekend too. Refreshments and snacks will be offered to weary travellers ;). 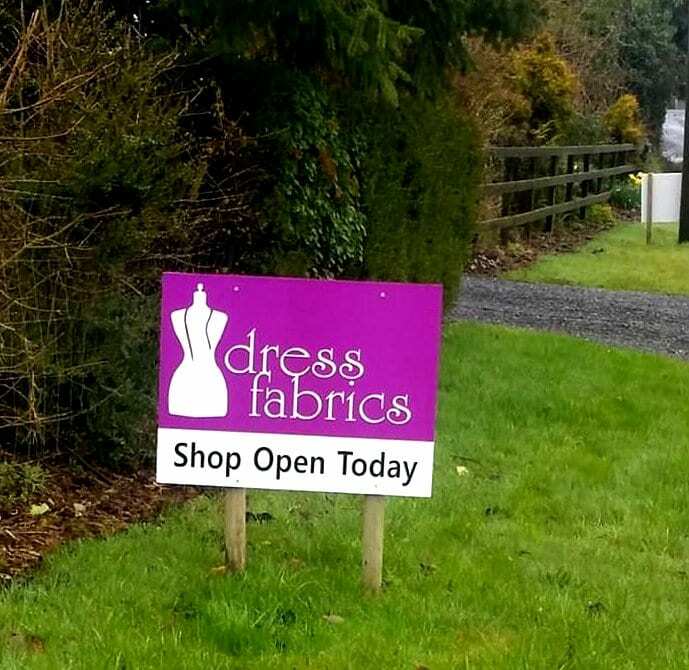 If you can’t make it – you are always welcome to visit anytime by appointment, just contact us by email – maeve@dressfabrics.ie or on 087 4395792.